When determining what makes city tap water safe, the Environmental Protection Agency (EPA) has unfortunately set low standards. Scientists from different universities across the U.S. have found trace chemicals, pharmaceuticals, and bacteria in high content throughout U.S. water systems tied to diseases such as cancer, Alzheimers, and other heart and liver problems. In response to these findings, researchers from the University of Cincinnati did a field study of all the tap waters in major cities across the U.S., trying to determine which city or area has the safest drinking water. In their research, the scientists investigated four determinants of clean water: turbidity (cloudiness of water), number of halo-acetic acids (cancer-causing agents), lead, and bacteria. What the outcome of this study means for the people living in the cities varies, depending on the condition and who is drinking it. Most of us won’t be affected by even the lowest of conditions immediately. But pregnant women, elderly people, and children are at risk from unclean or heavily treated tap water right now. Without further ado, here are the best U.S. metropolitan cities for clean tap water as of 2008. Even though St. Louis still has trace chemicals and pollutants in their water, they are far below EPA standards, and consistently have the best taste, aroma, and clarity of tap water. From all the local farming done nearby, this was a surprise to me, but Des Moines has some of the lowest levels of turbidity, bacteria, lead, and halo-acetic acids in the country. Forbes magazine ranked it number 1 in the country for clean tap water. The University of Cincinnati testers found Las Vegas’ water to be some of the clearest and bacteria free in the country. Reader’s Digest gave it a perfect score for cleanliness. Ranked number 2 by Forbes Magazine, Austin has top ten scores across the board. The biggest surprise for me on this list, Miami ranked in the top 25 for all four of the determinants. San Jose, California; Kansas City, Missouri; Tulsa, Oklahoma; Pittsburg, Pennsylvania; Boise, Idaho; Birmingham, Alabama. Washington, D.C.; Tampa, Florida; Phoenix, Arizona, and New York, New York. While these may be the safest of the metropolitan cities for tap water, municipal water is still not healthy to drink for long-term use because of chemical additives, such as chlorine and fluoride. You just do not need to fret quite as much when you find yourself in Miami craving a cold glass of water. However, if you want to drink healthy water, the best bet is always going to be filtered drinking water. Forbes: Best Cities for Clean Drinking Water; 2008. 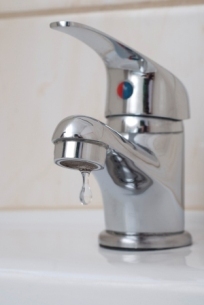 Return from Safest Tap Water in U.S. Cities to What Is in Tap Water?